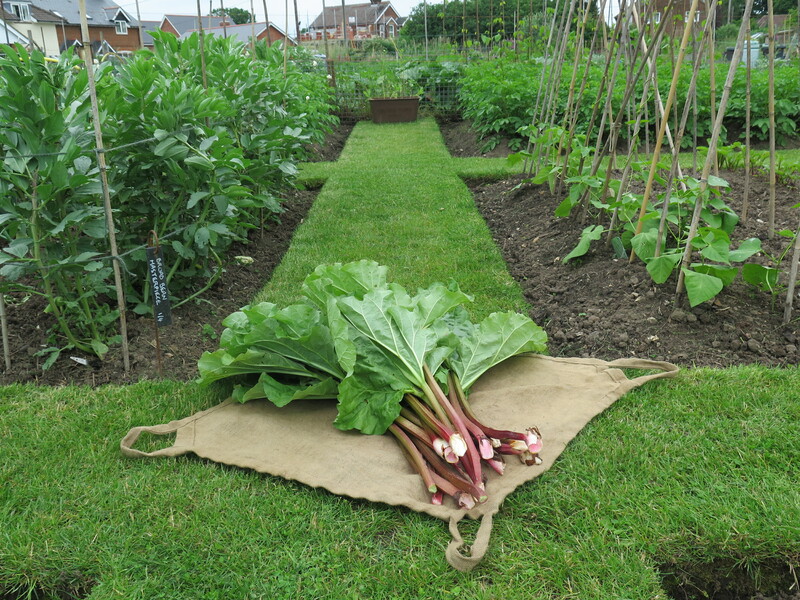 The rhubarb over on plot 2B has been thriving this past Spring, the crowns were split and planted into a raised bed last Winter which seems to have done the job brilliantly. There has been such a great harvest that I’ve been looking at some new recipes to try out, and my Dad even gave me permission to pick some as long as I made some cake with it. I am a huge rhubarb fan and a huge cake fan so this recipe sounded like a match made in heaven… It didn’t disappoint! Easy and straight forward instructions with delicious results, although you can eat it simply as a cake I think it’s best served warm with custard or evaporated milk. I’ll definitely be making it again that’s for sure! Grease a 20cm/8inch deep round cake tin and preheat the oven to gas mark 5/180C. 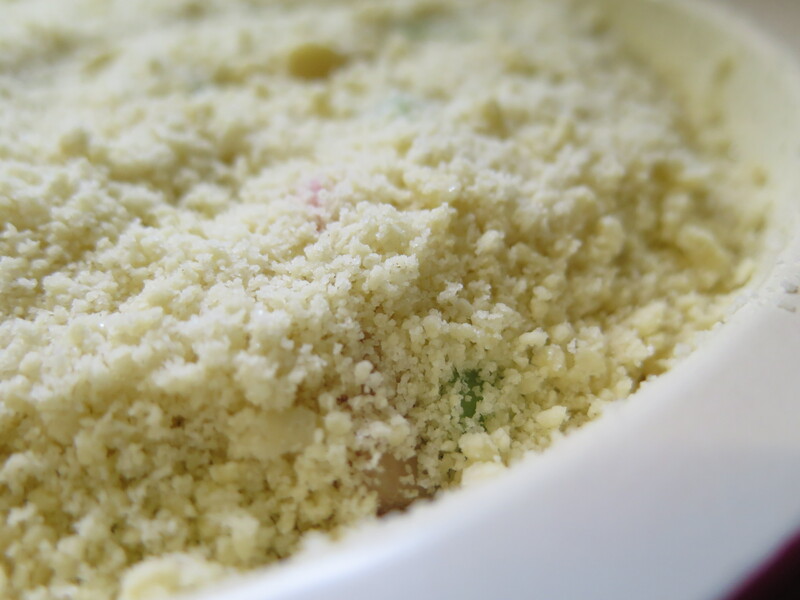 Make the crumble topping by rubbing the butter into the flour, add the sugar and place the bowl in the fridge. For the sponge, cream together the butter and sugar until pale and fluffy. Lightly beat in the eggs and then fold in the self raising flour. Pour the mixture into the cake tin and level it off, place the chopped rhubarb pieces on top of the mixture and sprinkle with a tablespoon of sugar. 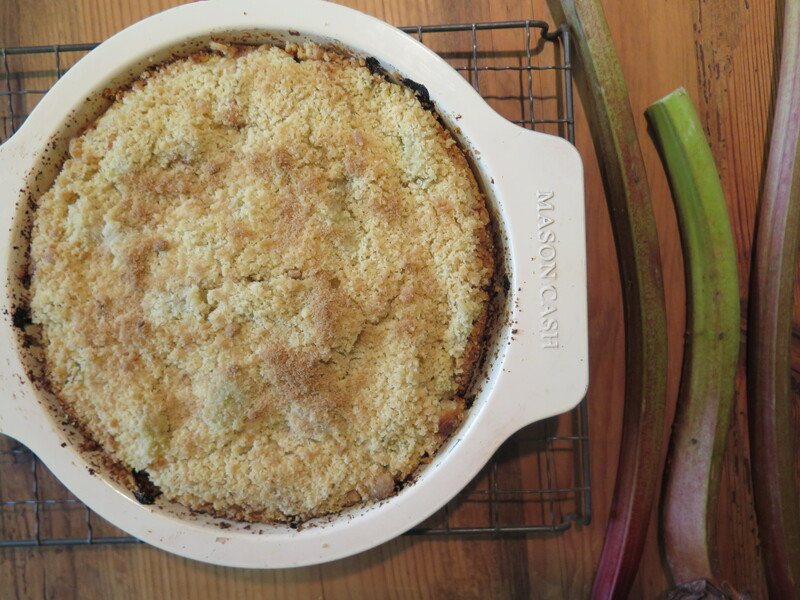 Cover the rhubarb with the crumble mixture and place in the centre of the oven for 45 -55 minutes until golden brown and firm to touch. Tips: Best served warm with ice cream, custard or cream. 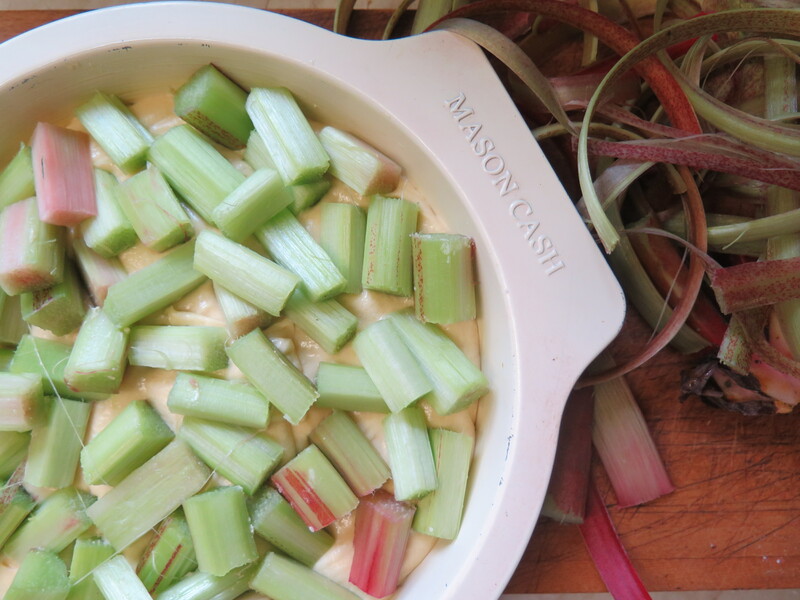 You can also swap the rhubarb for gooseberries! This looks so good! 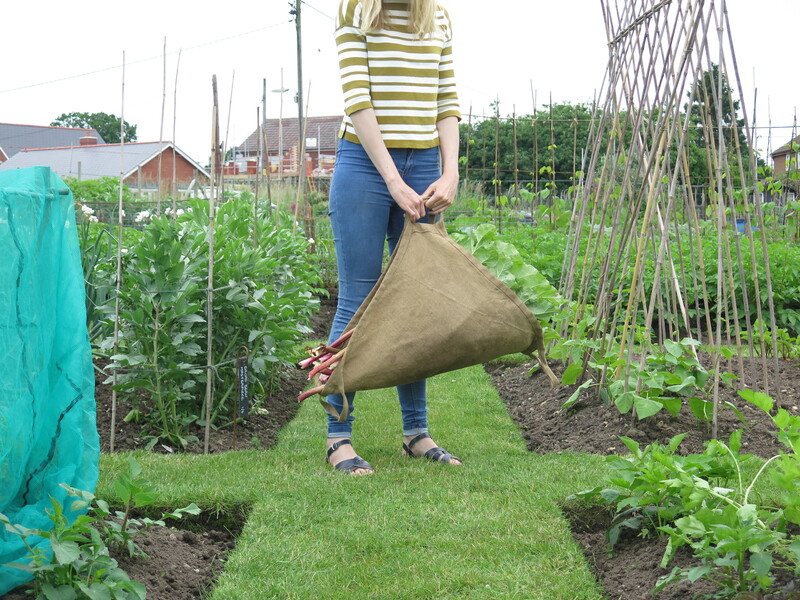 We just bought a rhubarb plant for our fruit patch this year, so we’ve got to wait till next year to harvest any! I can’t wait to be able to bake such amazing things! I’ve been dividing my rhubarb this year, following the advice of a friend. 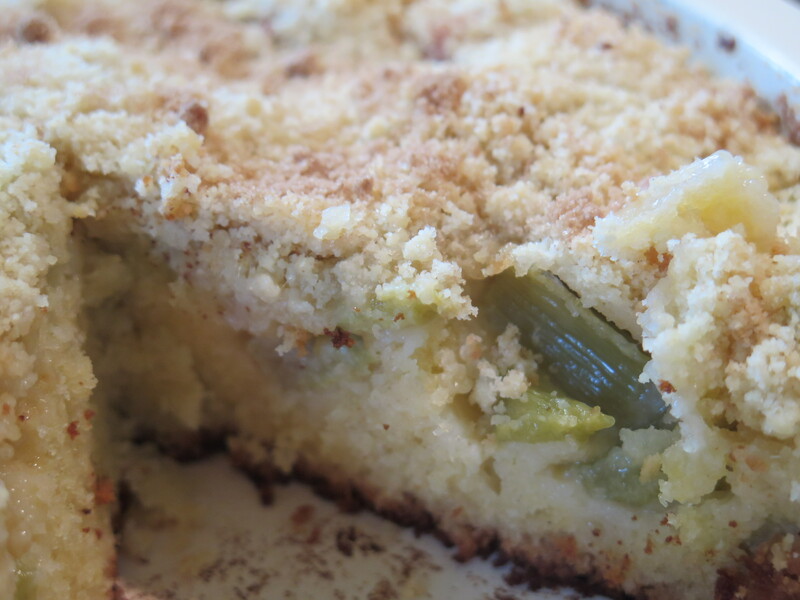 I’ve got lots of rhubarb, and am so pleased to see your recipe for rhubarb crumble cake, I will definitely make it. Thank you. Oh do, it’s so delicious and I can’t wait until next year to make more! I’m not sure I like evaporated milk that much 🙂 But it is yummy!